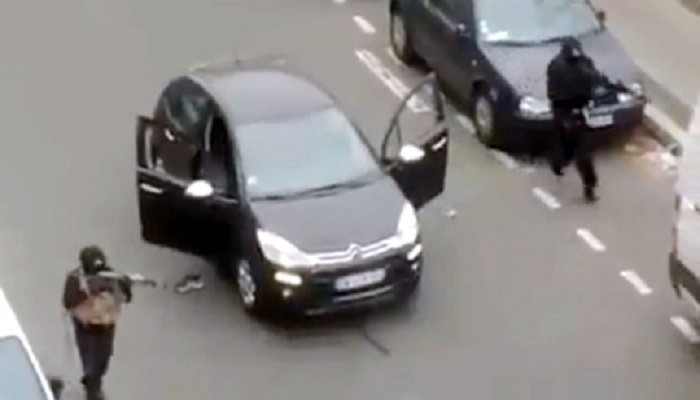 The vicious and meticulously executed attack by Islamic extremists on the French news weekly Charlie Hebdo in Paris resulted in the mass killings of journalists, cartoonists and police officers. It has been widely condemned by the international community as a blatant effort to muzzle a free press and punish any of those seeking to shine a spotlight on the radical thugs now perverting Islam and sowing death and destruction around the world. Social media has been filled with sympathetic tweets and hashtags of #jesuischarlie as the world expresses its revulsion at this act and begins to grapple with the larger and ever growing problem of radicalization of people drawn to the preaching and messages of violence from groups such as ISIS and state-sponsors of terror such as Iranian mullahs. Curiously there has been one quiet corner of the Internet and that is the domain occupied by the supporters and advocates of the Iranian regime. A casual perusal of the social media feeds of people such as Trita Parsi of the National Iranian American Council showed a lack of commentary or condemnation of the attack. In Parsi’s case he did not even post any comment on the attack until hours later and even then provided a link to an editorial by Juan Cole that attempted to rationalize the murders in the context that it did not represent a broader indictment of Muslims. Why this is curious is when compared to other acts such as the rioting in Ferguson, Missouri or even the recent protests by New York Police Department officers against New York Mayor Bill de Blasio, Parsi has been vocal and quick to cite these incidents and condemn them. Yet in a case where he could have made a clear demarcation between the violent and extremist acts of Muslims intent on perverting a religion for their own gains, he remained largely silent. This deafening lack of protest from supporters of Iran illustrates the tightrope they attempt to navigate by avoiding any potential linkages back to Iran from acts of terror and violence occurring around the world. It is well established that Iranian regime’s militant brand of sectarian violence and policy has been at the heart of conflicts in Syria, Iraq, Afghanistan, Lebanon and Yemen just to name a few places. Yet, none of these actions such as the supply of weapons and cash to terror groups such as Hezbollah nary once engender a word of protest or tweet of outrage from Parsi and company. It points to the rank hypocrisy of the Iranian lobby in condemning acts in the West that help Iran point an accusing finger yet never question the almost daily barbarous acts of violence committed by the Iranian regime and its agents around the world and against its own people. Members of the U.S. Congress, recently sworn in, should take the opportunity to not only note what Iranian regime supporters such as Parsi tweet and post, but more importantly, what they don’t post or protest. Sometimes the silence is just as damning as the words.